Barbed tubes are a great way to secure a plastic tube or to retain a tube in an epoxied assembly. 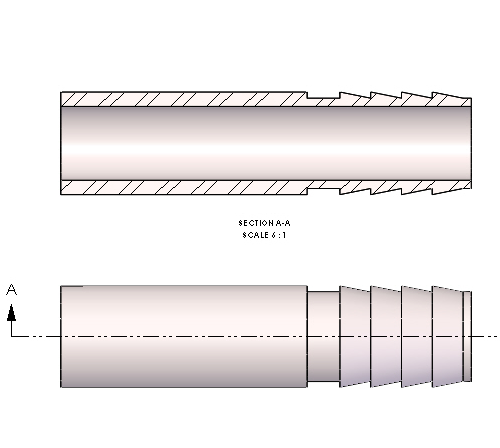 Barbs may be cut or ground on most regular and heavy walled tubes, and can also be machined onto a fitting depending on the application. Different types of barbs are also available. Spiral cuts, similar to screw threads, are also a way to ensure a great bond with epoxy. 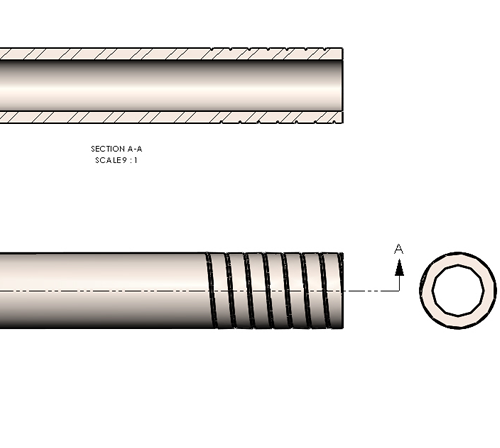 Because they are not as deep or closely pitched as a mechanical thread, we can add a spiral cut to regular and some thin wall tubes. If you’re looking for a less expensive way to add friction to the outer diameter of your tube or fitting, grit blasting could be the right solution. Call us today at (603)429-1600 to hear how we can lower your cost and save you time on your application.